With a new TV spot promoting The Force Awakens being released almost daily, it’s hard to imagine that the original 1977 film was released with very little fanfare by 20th Century Fox. The Hollywood Reporter collected five film buyers—who became instrumental in the Star Wars phenomenon—and talked to them about those months leading up to and just after the release of George Lucas’ space opera. In 1977, the article reveals, Star Wars was considered the “B track,” while Sidney Sheldon’s now all-but-forgotten The Other Side Of Midnight was supposed to be the big summer hit for Fox. 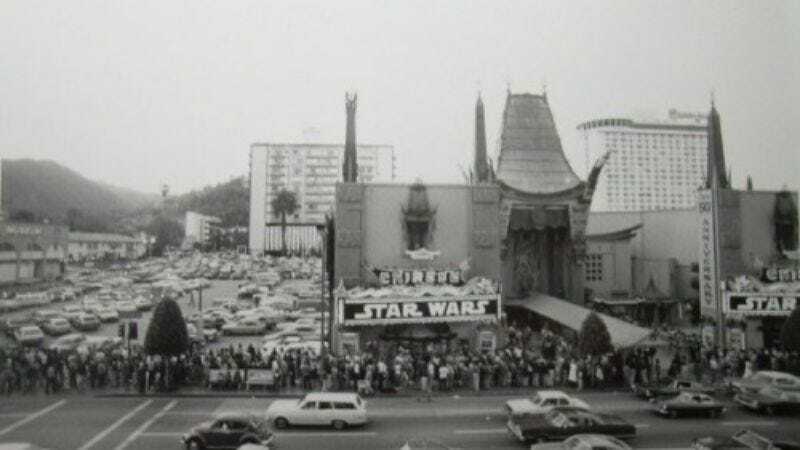 Star Wars originally opened on 42 screens nationwide, which is probably how many screens are in your local multiplex in 2015.